First single you bought? Agadoo by Black Lace! Muesli or bacon roll? I'm a vegetarian so muesli, but I'm more savoury than sweet so please can I have marmite on toast? 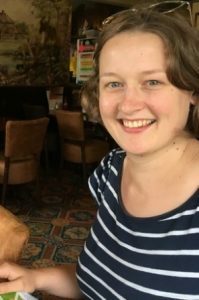 Sarah's passion for theatre and performance began at the age of seven with her discovery of Pam Ayres, regularly subjecting her classmates to a rendition of the latest poems she had learnt that week! 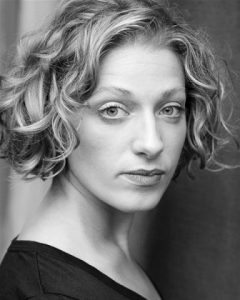 Sarah moved to Guildford in 1995 to train at the Guildford School of Acting and since graduating has performed in a variety of theatre and film, including a spell at the Yvonne Arnaud Theatre in Alan Ayckbourn's Sugar Daddies. Sarah has also worked for many local theatre companies including The Phoenix, in Bordon, playing Bathsheba in Far From The Madding Crowd, and for Proteus in Basingstoke, as Wendy in Peter Pan. For both companies she toured to local communities in Surrey and Hampshire. Sarah is delighted to have set up Guildford Shakespeare Company and by the tremendous response that they have received from the community, who appear to be as passionate as she is about Open-Air Shakespeare coming to life in Guildford! Muesli or bacon roll? Bacon every time...smoked please! Originally from Worcester, Matt trained at University College Bretton Hall in West Yorkshire, graduating in 1998 with an honours degree in Dramatic Art. Open-air theatre gave him his first job, playing D'Artagnan in The Three Musketeers in Manchester. Since then he has continued to work in all forms of theatre from panto to TIE, from national No.1 tours to village halls, as well TV commercials and short films. Matt continues to act outside of the company and as well as acting and producing, leads talks and lectures on Shakespeare. In the summer of 2016 he walked the 146 mile Shakespeare Way from Stratford to The Globe in London. He’s extremely proud of GSC and all it has achieved. He's an avid baker, gin collector, walker and hopes one day to own a 2CV. Favourite biscuit: The last one I just ate. First single you bought? Everyone’s Free To Wear Sunscreen. Pathetic effort. Muesli or bacon roll? How is this a choice? 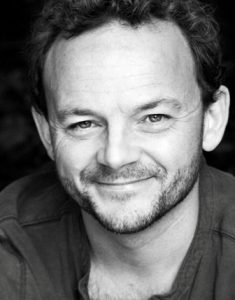 Ant studied English and Theatre at Warwick, before training on the Birkbeck directing course. He fell in love with open-air theatre after performing The Capulets and Montagues (a take on the Shakespeare classic) with the RSC as part of their Complete Works Season. He currently lives in Herefordshire with his young family. For GSC, Ant has adapted four of their professional productions, The Wind in the Willows, Alice in Wonderland, Grimm’s Fairy Tales and Robin Hood. He has also directed their rehearsed reading of The Two Noble Kinsmen and school tours of Macbeth and Romeo and Juliet. Before joining the company, Ant directed and wrote his own productions for a variety of theatres, including The Bush Theatre, Theatre Delicatessen, Theatre 503, The Old Red Lion and The Underbelly. Ant has been creating and running workshops for over ten years and enjoys working with the huge amount of children (and adults) who take part in our clubs, classes and workshops. It doesn’t matter how often he may look at a play, he always discovers something new and exciting by putting them on their feet. Muesli or bacon roll? : Bacon roll every time! 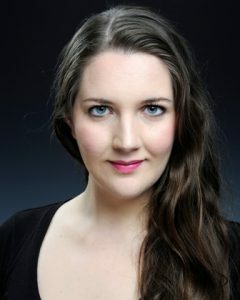 Beth trained at the Guildford School of Acting, graduating in 2010 with a First in Professional Production Skills. Since then she has been working as a freelance Stage Manager, with such companies as Northern Broadsides, Qdos, Creation Theatre and Headlong. Beth first met Matt and Sarah back in 2011, as the Assistant Stage Manager, on their production of Hamlet and she enjoyed it so much she kept coming back! Alice In Wonderland which was staged across Guildford in October 2015 was Beth’s 10th production with GSC. Personal highlights include plumping Richard III’s back hump, making cucumber sandwiches in a shed during The Importance of Being Ernest, operating Dolly the sheep’s bleats in As You Like It and dressing up as Robert the Scout (with woggle) for The Merry Wives of Windsor. Beth is thrilled to be taking on the full time role of Company and Technical Stage Manager and is looking forward to many more fantastic years with the GSC team. Favourite biscuit: Oreo or ginger nut, depending on how cheeky I am feeling. First single you bought: Macarena – I spent a lot of time at Butlins as a child and I pride myself on knowing all the classic 90s dance routines. Muesli or bacon roll? Muesli, I always start the day off well and then it tends to go downhill after that. Fran is originally from Norwich and moved to the big smoke to study at East 15 Acting School and subsequently in the Meisner Technique with Scott Williams at The Impulse Company. She worked professionally as an actress and a director at a number of theatres including; Richmond Theatre, The Tristian Bates Theatre, The Minack Theatre, The Tabard Theatre, The Theatre Royal, Norwich, The White Bear and The Questors Theatre. Favourite roles: Title role in The Hieress and Helena in A Midsummer Night’s Dream. Favourite shows directed: Love and Money by Dennis Kelly and Breathing Corpses by Laura Wade. 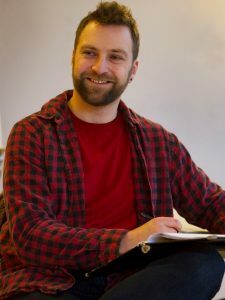 Before joining GSC Fran has been facilitating for over eight years in a variety of roles from weekly drama clubs at The Questors Theatre, to sustained Pupil Premium placements in schools across the Brent Borough to Forum Theatre projects with young carers for Richmond Theatre Trust. In summer 2017 she represented Great Britain in Denmark, directing and collaborating on a devised piece created by the young people and performed at EDERED, which is an international theatre festival that promotes intercultural work with young people through drama - it was an incredible experience! 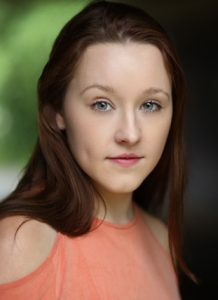 Eli grew up in Leicester where she attempted to spend as much time as humanly possible at the Leicester Haymarket Theatre, and moved to Guildford for drama school. 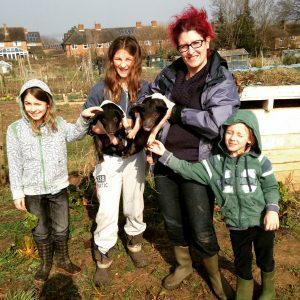 She has 3 boys, who she home educates the kids, grows veg, keep pigs, chickens and ducks as well as two cats and a dog. Eli also hoard fabrics & wool and has far too many craft projects on the go at the same time. Before joining GSC Eli taught drama, did some copy writing for children’s books, sung to small children in nurseries, was an actor in a theatre company that specialised in 18th century theatre (so many corsets!) and once upon a time sold novelty loo seats! Muesli or bacon roll? : Bacon roll…with ketchup. Saffron grew up in Ash, Cranleigh and Guildford, and attended Guildford College of Technology. She now lives in Whitehill, Hampshire, with her partner Craig and young son, Seth – which means she's getting to know the A3 very well! 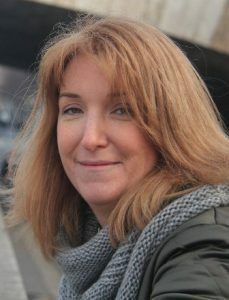 Before joining GSC, she spent nearly 20 years working the NHS, starting off working the laboratory at The Royal Surrey Hospital and ending up as a Medical Secretary at Haslemere Hospital – with a few different roles and departments in between. It was just a slightly different type of drama! Favourite biscuit: Chocolate Hobnob with a thin layer of ‘just been dunked in tea’ so the chocolate is slightly melted! Muesli or bacon roll? Always bacon roll. I don’t think muesli should even exist! From an early age Indiana was brought up in the world of performing, watching her mother succeed in this industry. This led to Indiana being in TV commercials, studying flamenco and modelling from a young age. One of Indiana's first jobs was as the TV and Radio presenter for her local town in Spain. Indiana moved back to England in 2012 and studied Acting for stage and screen at drama school. Indiana did her ATCL teaching qualification in Drama and has taught and directed at various stage schools and youth theatres over the years. Indiana began her directing career under the mentoring of Charlotte Conquest, whom she has assisted on various projects such as Strictly Ballroom the Musical (West Yorkshire Playhouse), All Abroad (Electric Theatre) and Merrily We Roll Along (Yvonne Arnaud Theatre). Indiana is also part of the Young Vic Directors programme. Guildford Shakespeare Company holds a very special place in Indiana’s heart. She started volunteering in 2012 as a member of FOH and fell in love with the company and their powerful productions. Indiana is now the Sprites leader for GSC and has had the privilege of being assistant director in various GSC shows such as King Arthur, Romeo & Juliet and Alice in Wonderland.